Read more about our buffers in our Buffer Comparison Chart! The Rupes BigFoot Random Orbital Polishers are the perfect buffer for any detailing enthusiast or professional! They offer an incredible balance of power, safety and performance that everyone can benefit from. The random orbital movement of these buffers allows you to achieve professional polishing results in less overall polishing time. What previously may have taken several sets of passes can now be done in just one to two sets of passes. The motor is powerful enough that you will never have to worry about bogging down when correcting heavier imperfections, swirls, scratches, etc. Even with the powerful motor this buffer is extremely easy to use. Beginners will be able to pick up this buffer, feel comfortable and achieve significant correction if desired. This immediate comfort comes from three important safety features: soft start, anti-spinning feature, and electronic feedback control. 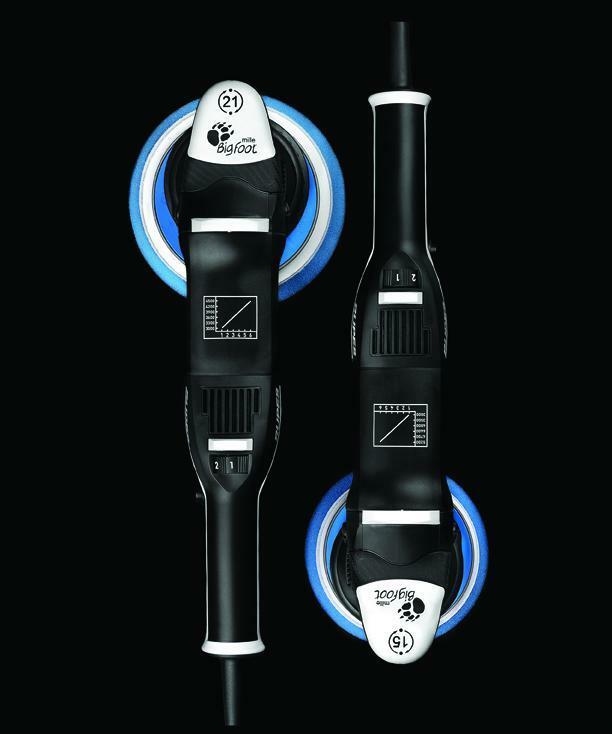 The soft start feature will guarantee a soft acceleration when you squeeze the trigger, while the electronic feedback control will maintain a constant speed while polishing. Once you reach higher speeds the anti-spinning feature will help prevent holograms and burning that can come from high speed buffer rotations. Another great feature of these buffers is that the backing plates come built in and feels solid, so it will never come flying off! All these features means it is incredibly safe and easy to use, but experienced professional detailers will also love this unit. It has the perfect blend of safety and speed that allows you to polish incredibly fast while leaving minimal haze. If you are looking for the perfect buffer for your detailing work, check out the Rupes BigFoot Random Orbital Polishers! As of December 8th, 2015 we are proud to offer you the MarkII edition of the 15mm and 21mm units. They both offer enhanced power and a 30% efficiency increase for even better results versus the original LHR 21ES and LHR 15ES units! Use these buffers with any pad you'd like. 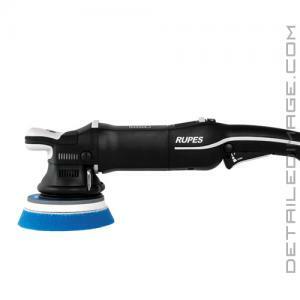 We recommend the Foam & Microfiber Pads from Rupes! 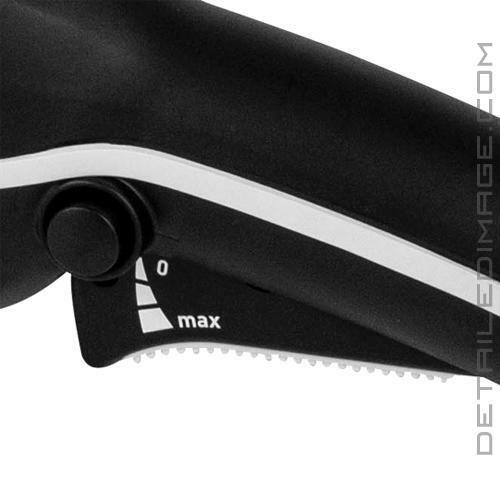 Features a stronger, reinforced housing, updated rear handle, rubberized details, larger improved speed control dial, progressive trigger, dual rubber supports, redesinged front handle with rubberized top and bottom grip, or standard 9 meter cord. With a massive 21mm throw it is a defect killing machine. It is amazing on large flat panels, hoods, doors and trunk lids. With M105 and a MF Pad this machine gets some amazing correction in a very fast amount of time. 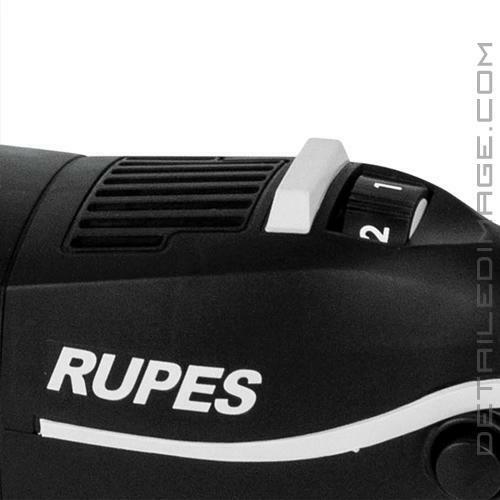 Like all other Rupes machines, the LHR75e features a longer stroke (side to side motion) than other machines on the market. This larger motion allows the mini to correct faster than other dual action polishers, and requires very little pressure to correct defects. This is my favorite part about the Rupes machines. I rarely need to use additional pressure, the weight of my hand and the machine is all that is needed to produce excellent results. The build quality is great, the tools are very smooth and easy to use, and the added power is a welcome change. This is a great tool for the detailing professional, or even an enthusiast, who is seeking the ultimate polisher to save time while producing even better results.